Estimation of the degree of semantic similarity/distance between concepts is a very common problem in research areas such as natural language processing, knowledge acquisition, information retrieval or data mining. In the past, many similarity measures have been proposed, exploiting explicit knowledge—such as the structure of a taxonomy—or implicit knowledge—such as information distribution. In the former case, taxonomies and/or ontologies are used to introduce additional semantics; in the latter case, frequencies of term appearances in a corpus are considered. Classical measures based on those premises suffer from some problems: in the first case, their excessive dependency of the taxonomical/ontological structure; in the second case, the lack of semantics of a pure statistical analysis of occurrences and/or the ambiguity of estimating concept statistical distribution from term appearances. Measures based on Information Content (IC) of taxonomical concepts combine both approaches. However, they heavily depend on a properly pre-tagged and disambiguated corpus according to the ontological entities in order to compute accurate concept appearance probabilities. This limits the applicability of those measures to other ontologies –like specific domain ontologies- and massive corpus –like the Web-. In this paper, several of the presented issues are analyzed. Modifications of classical similarity measures are also proposed. 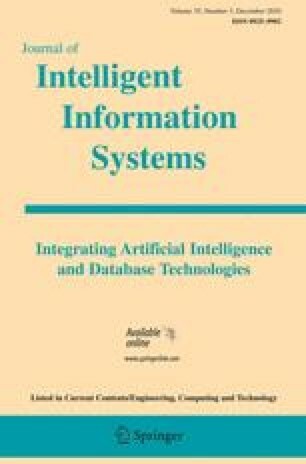 They are based on a contextualized and scalable version of IC computation in the Web by exploiting taxonomical knowledge. The goal is to avoid the measures’ dependency on the corpus pre-processing to achieve reliable results and minimize language ambiguity. Our proposals are able to outperform classical approaches when using the Web for estimating concept probabilities. This research has been partially supported by the Spanish Government within projects ARES (CONSOLIDER-INGENIO 2010 CSD2007-00004) and E-AEGIS (TSI2007-65406-C03-02). The work is partially supported by the Universitat Rovira i Virgili (2009AIRE-04) and the DAMASK project (Data mining algorithms with semantic knowledge, TIN2009-11005). Montserrat Batet is also supported by a research grant provided by the Universitat Rovira i Virgili. Lemaire, B., & Denhière, G. (2006). Effects of high-order co-occurrences on word semantic similarities. Current Psychology Letters, 18(1). http://cpl.revues.org/document471.html. Accessed 26 May 2009.